Vernisage Web & Graphic Design will maintain your Web site at a reasonable cost. Whether you want to make a few modest changes or want a completely new look on your Web site, we will work with you and keep within your budget. Web Maintenance Services by third party can substantially reduce your costs by eliminating the need to hire full time Web site design professionals or Web content programmers. 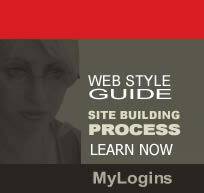 These featured Guides and Articles can help you understand and implement most profitable web maintenance solutions. Most Web sites require some type of maintenance - new products, updates to advertising, price changes, contact information, broken links, any number of things change over time. We can make these changes for you as well as support all of your other web site needs - Hosting, Search Engine Positioning, Visitor Statistics, Complete Web site Management Solutions.